This post was made possible by Blogger Babes. 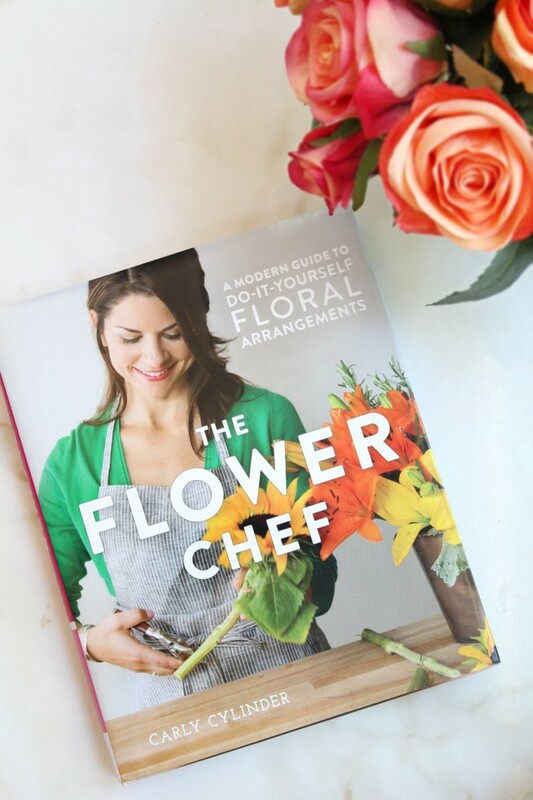 I received a complimentary copy of The Flower Chef in exchange for my honest review. Thoughts are 100% my own. I love cookbooks. I don’t often make recipes exactly like they are written, but I love sitting down and flipping through a cookbook with beautiful photos and getting inspiration for my own creations. I just received a beautiful book called The Flower Chef which is basically a cookbook filled with “recipes” for amazing flower arrangements, complete with gorgeous photos for each. It doesn’t get much better than that right? This book would be great for anyone from the flower rookie to the flower enthusiast and would make a wonderful gift (Mother’s Day maybe?). The “recipes” are super easy to follow for anyone but the best part is you can get the basics from the tutorials and then let your imagination run wild with your amazing creations! 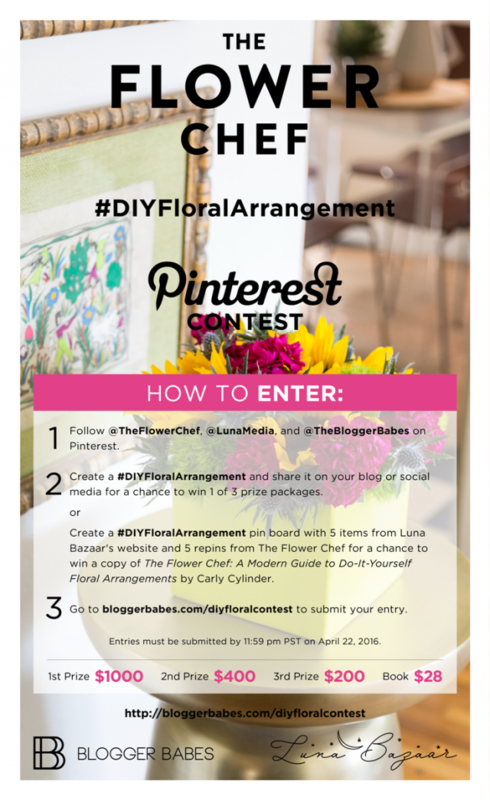 I have have been busy flipping through all of the beautiful photos and getting inspiration, but I can’t wait to start making my own arrangements! So what are you waiting for? 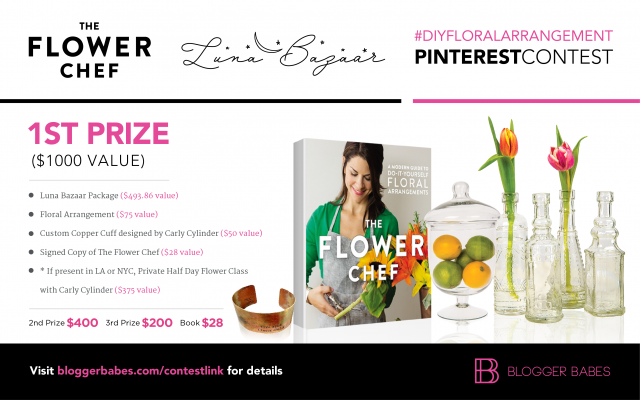 Pick one (or all) of these awesome ways to win this beautiful book and start creating! You can also get your copy on Amazon here. I love gnocchi. There is something so comforting about a bowl of these fluffy little dumplings. And although they are a bit time consuming, they are really easy to make. If you ever played with play-doh as a kid, you can nail this recipe. My version gets a nutritional boost by subbing out regular potato with sweet potato. And I am a firm believer that goat cheese makes everything better. This is a great dish to serve for company. 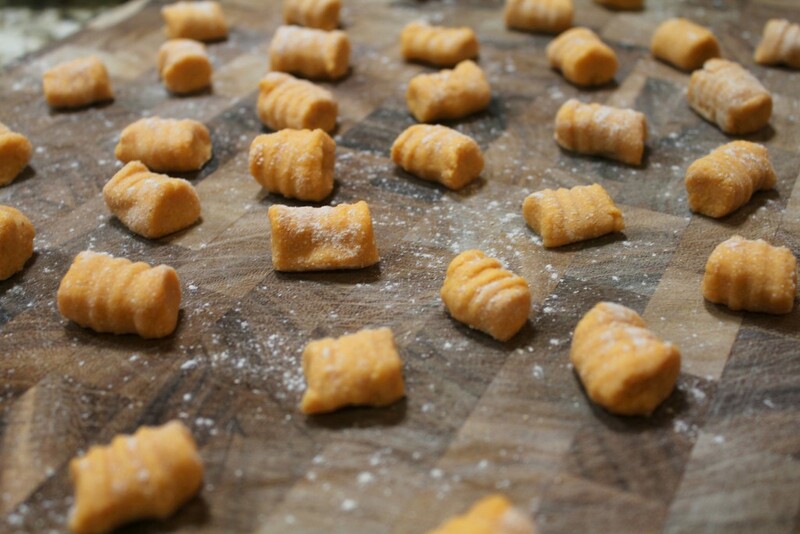 You can make the gnocchi ahead of time (even the day before) and then boil them and toss them in the sauce at the last minute. And your guests will be impressed! If you are making them ahead of time, sprinkle them with flour and store in a single layer the fridge. In a large pot, boil cubed sweet potatoes in salted water until tender (test with a fork). Drain. In a large bowl, mash sweet potatoes until smooth. Let cool. Mix goat cheese, egg, maple syrup, garlic powder, nutmeg and salt into mashed potatoes. Add flour a little bit at a time until a soft dough is formed (you may need slightly less than a cup). The idea is to not add to much flour, or else they will be dense and chewy. You want the dough to be pliable but not too sticky. Knead dough and shape into a large ball. Lightly flour your work surface and divide the dough into 6 equal balls. Roll each ball into a 1 inch thick rope and cut into 1 inch pieces. 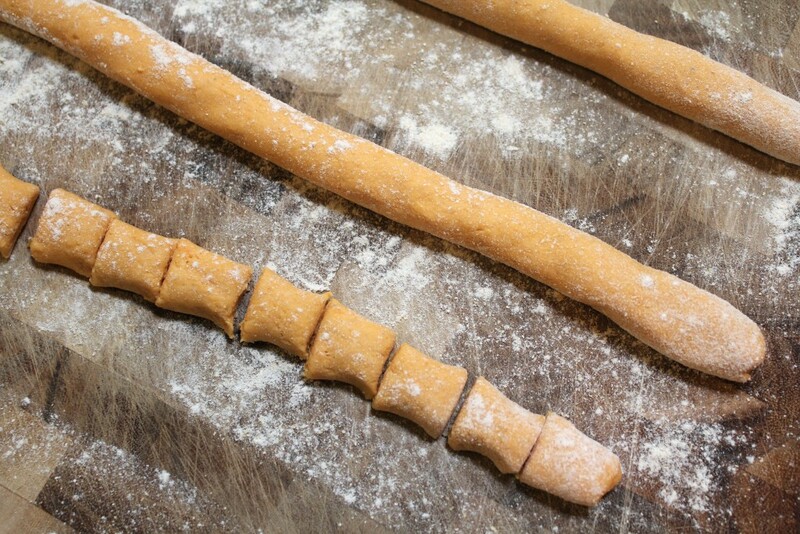 Roll each piece over the back of a fork to create indentations (this step is optional, but they look prettier that way). Bring a pot of salted water to boil. 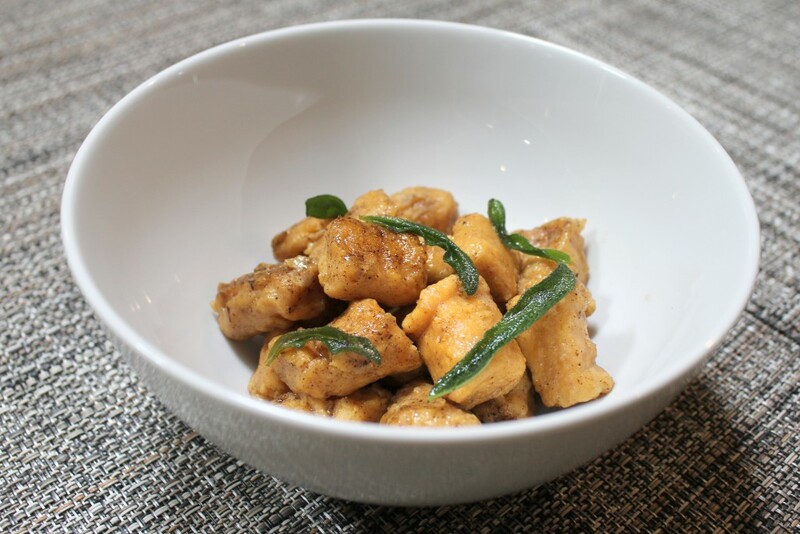 While you are waiting for the water, make the brown butter sauce (recipe below). Working in batches (to not overcrowd the pot) add gnocchi to the boiling water and cook until the gnocchi float to the top (1-2 minutes). Toss with the brown butter sauce. Melt the butter in a large sauté pan over medium heat. Once the butter has melted add the sage leaves. The butter will start to foam. Continue to cook, stirring occasionally, until the foam subsides and the butter starts to brown. Remove from heat when you notice brown bits forming on the bottom of the pan.